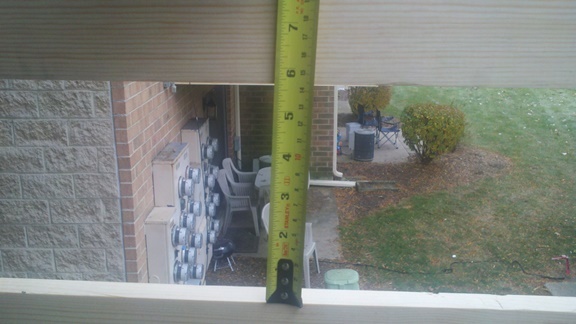 You are here: Home / Wordless Wednesday / Wacky Weds: Deck Railings? 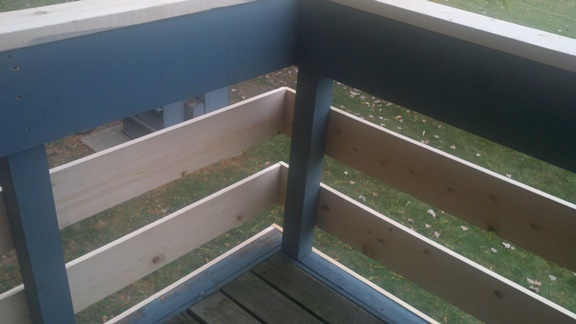 In a recent piece I showed off a few structural issues with some decks by where I live. I left off one of the biggest problem spots as I knew that they were going around later to fix it… Well they have completed their repairs & they are essentially done with the exception of painting. Climbable anyone? Well that is still one of my first thoughts but the last year that was an issue in the code books was the 2000 version as I recall. The only time “climbable” really pops into the code language anymore is when it comes to pool fences & latches. The big issue here is the same one from before & that is the opening size which is between 5.5″ to 6″ everywhere (i.e. to prevent a baby from crawling through). 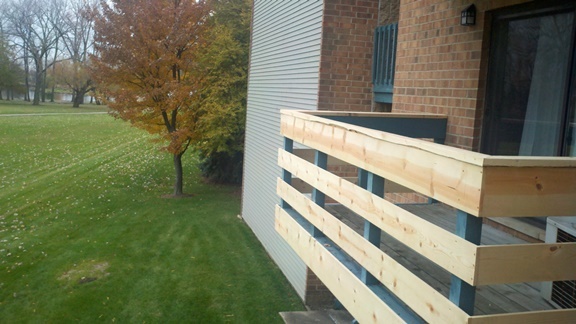 The fix, well all they had to do was spend maybe another $10 per deck for some slightly larger pieces of lumber & they would have easily been within the code limits. Hopefully all the lawyers get to do is drool over the issue & nothing ever does happen. This is one reason why we always promote hiring a true professional to do an inspection, listen to their advice, and to do any repairs – not only to prevent a lawsuit, but also to make sure that the structure is safe. Ahh in case you are wondering, no that isn’t pressure treated wood, but it isn’t required to be either (or did I miss a section somewhere…). Wacky Weds: From foam to fiberglass to cellulose?